Recently the MBTA informed municipal officials, lawmakers and others that it plans on suspending weekend commuter rail service to most of the rail lines in the state in order to comply with a federal mandate to install new train control safety equipment. According to the MBTA, this hardware must be in place by December 2018 and meeting that deadline will require suspending summer weekend train service this year. Such suspensions would cause a number of problems, and thus I have deep concerns about them. I have contacted the MBTA to express my concerns about the impacts that summer suspensions of weekend rail will have on riders and these impacted communities. The Federal Rail Administration has mandated that Commuter Rail Positive Train Control (PTC) systems will be installed on every Commuter Rail line, dispatch center, locomotive, and control car throughout the entire rail system. We are told that they must be in place by December 2018; if they are not, the federal government may impose substantial financial penalties. The PTC is intended to enhance safety through a coordinated system of satellite and ground based systems that will reduce train accidents including derailments, work crew strikes, switch errors, and train to train crashes. Even a major outreach to potential commuters about project updates on these closures and suspensions, as the MBTA has promised, will still likely cause major disruptions and hardship. Simply put, weekend commuter rail is used by workers and people traveling for recreation; summer tourist season train traffic generates tens of thousands of visits to our communities each season. Here is a brief look at some proposed MBTA outages: • Newburyport / Rockport Line - Weekend service suspension from July 8th through September 30th. • Beverly Drawbridge Replacement Project. Shutdown for the Beverly Drawbridge Replacement project from July 8, 2017 through July 22, 2017. 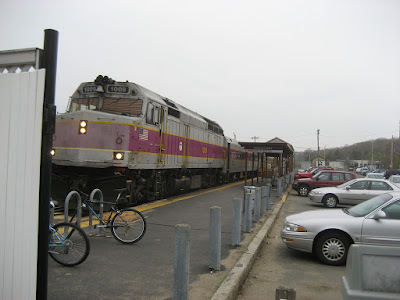 • Haverhill Commuter Rail Line – Weekend service suspension from September 23rd through December 2, 2017. • Lowell Commuter Rail Line - Weekend service suspension from July 29th and will end the weekend of September 30, 2017. At least two other additional meetings will follow, most likely in Newburyport and Beverly. Clearly this is a critically important transportation issue for our region, and we need to explore every avenue for mitigating or eliminating adverse impacts.